With summer coming to a close, and the cold winter months fast approaching, it’s time to consider prepping your fireplace for the chilly weather ahead. 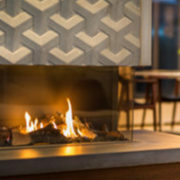 Most gas fireplaces remain unused during the spring and summer which can create some issues when you go to use the fireplace on that first crisp cold, autumn evening. 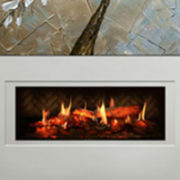 Rettinger Fireplace Systems employs a full-service department of National Fireplace Institute certified professionals and creative minds who can do everything from annual maintenance to entire fireplace design concepts. 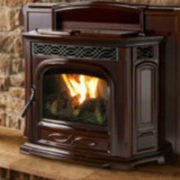 In fact, we are a one-stop fireplace store in NJ where details make the difference. Wood and gas burning fireplaces alike need proper preparation to ensure the safety of every person living in the household. 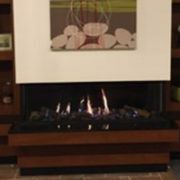 Today, we want to go over some essential tips on preparing your gas fireplace for the upcoming burn season. A lot of homeowners will shut off their pilot during the spring and summer months to conserve gas. It is important to know how to light your pilot, so you’re properly prepared for the burn season. Here are step-by-step directions for lighting the pilot. 1. First, turn the knob on the valve to the “Pilot” position. Once in the “Pilot” position, you will need to press in the knob and hold it there to release the gas to the pilot assembly. 2. Then, while holding the knob in, press the spark igniter several times to light the pilot. After the pilot is lit, continue holding in the valve knob for another 30 – 60 seconds. This will ensure that your fireplace safety features recognize the flame is there and it can continue to let the gas flow and keep the pilot lit safely. 3. Once the pilot stays lit after releasing the knob, you should turn it over to the “On” position. If you leave the valve knob in the “Pilot” position, this will prevent you from operating the fireplace normally. Keep this in mind: You can only light the pilot this way on some systems. Some ignition systems have a match light ignition instead of a spark igniter. However, the principle remains the same. For Intermittent Pilot Ignition Systems: You do not need to light the pilot with this type of system. Instead, the pilot will spark and ignite automatically when you call for the fireplace to light via remote or wall switch. This usually takes around 30-60 seconds to complete and is an efficient energy saving option. Rettinger recommends that you refer to the owner’s manual of your fireplace to ensure you know which system you have in your home and you are safe in igniting your pilot. We cannot stress enough how important annual maintenance and the first cleanup of the season is when preparing for your first fireplace burn. 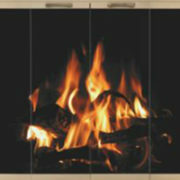 This is imperative to keeping the fireplace operating properly throughout the fall and winter season. The worst time for your fireplace to not light is when the air is chilly, and you’re looking for some warmth and comfort. 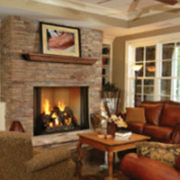 Many common issues that homeowners run into tend to be the result of neglect and improper care of their gas fireplace. natural gas and liquid propane produce a residue when burned due to an agent these company’s put in the gas to give it an odor. This residue can build up and cause flame sensing safety features to fail. This means that the fireplace will not light since it is receiving a false signal that tells the components not to allow gas to the burner or pilot because it is sensing a safety issue. Dust and debris from a chimney or home can also cause a similar problem. Our technicians can clean out this residue, dust, and debris as well as refresh the glowing embers and clean up sooty logs. Not only will your fireplace look almost like new, but it will be properly maintained so when the time comes to burn it will fire up without a hitch. 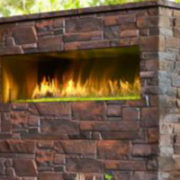 To learn more about Rettinger Fireplace Systems, or more information on how to light your gas fireplace in NJ, give us a call today at 833-GET-RETT and we can schedule an appointment.